Ornametals and Finer Welding, Inc.
Ornametals and Finer Welding is the result of years of creative exploration, one of the only companies in Western North Carolina that offers complete entrance design, fabrication and installation of one-of-a-kind custom entry gates, including full automation with security devices for any size entrance. Job costs can range from $150 for a simple welding repair to $150,000+ for a complete entrance. Standard gates $1,500 to $6,500. Security gates $1500. to $7500. Custom gates $2,850 to $25,000. Complete entrances $15,000 to $150,000. Custom Monument signs $3,000 to $75,000 and Iron Handrail systems start at $85.00 per lineal foot. These are estimates only based on experience and your actual costs may vary depending on the scope of your project. Contact us for a consultation about your project. Ornametals not only install beautiful iron gates, but we also install stone columns, landscaping, water features monument signs and street signs. 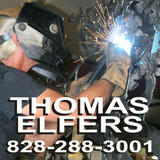 Thomas Elfers, the owner, also has a unique ability to create beautiful sculptures, wall hanging art and furniture just by listening to his clients' ideas hence his motto, "We Fabricate Your Imagination". Fences by JSJ are durable and last over time. We offer fencing services to install your new fence or repair your old fence. Every fencing job is different. Get your free quote today to see our difference. 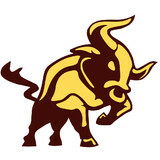 The Wrights' Fencing Company is a personal owned fence company with over 30 years of experience. 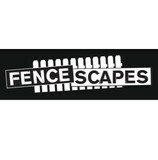 Welcome to Fence Scapes. We are a full service fencing contractor. We install all types of fencing from chain link to custom wood or ornamental metal. We specialize in farm fencing. Customer satisfaction is our top priority. Smith Iron Works has been offering rod iron rails and fencing for 60 years. We do work for both residential and commercial. We install vinyl fence, chain link fence, wood fence, privacy fence, iron fence and more. We use top quality products with top quality craftsmanship. Fletcher Fence Company. is your locally owned and operated full service fencing contractor serving Fletcher and the surrounding areas. Whether it's a wood or steel fence, Fletcher Fence Company has been installing fences for over 40 years and is ready to help you with all of your fencing projects. Call Paul today for your free estimate! We understand every client is unique and we offer a wide variety of products that can fit your need. We specializes in Wood - Chain Link - Chain Link Vinyl - PVC Vinyl - Aluminum and Repairs. Give us a call or send us an e-mail and we will be honored to provide a competitive reasonable estimate. In China, Medical Qigong is a primary form of medicine and is offered right alongside of Western Medicine. Medical Qigong is the Father of the more modern Acupuncture and it is sometimes referred to as Acupuncture without needles. Medical Qigong is being referred to around the world as a miracle medicine because so many people have experienced amazing healing results. If quality and dependability are important to you, let the professionals of Shoemaker’s Fencing help you add safety and value to your home or business. 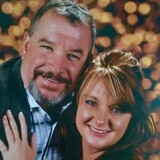 Lakeway Fence & Supply is a locally owned and operated business in Morristown, TN. We supply the latest in: Aluminum Vinyl Wood Chain link ...as well as a variety of additional services! Whether you need to secure your yard or just add some decorative flair to your landscape, fences are an integral part of a home’s exterior and curb appeal. Given their security and aesthetic importance, they need to be designed, installed and repaired correctly — luckily, fence contractors in Asheville, NC can help. From devising custom fence designs to general fence repair and maintenance, these pros will have your fencing looking fancy in no time! What does a fence contractor do? Your Asheville, NC fence installation and repair professional will work with you to create your ideal fence. Fence installation or replacement. If you are in the market for a brand new fence, a contractor’s services will include walking you through various fence styles and materials, determining a suitable height, ensuring that all fence designs and plans are compliant with North Carolina building codes, and that the fencing meets both your stylistic and security needs as the homeowner. Fences and gates must complement the grade of your property as well as the type of soil you have, so the contractor should always plan around these considerations. Additionally, if you don’t know exactly where your property lines are, he or she can commission a survey for you. If you are interested in specialty fencing, such as a pool fence or a pet fence, your professional can also help you determine the design and type of fencing that will best suit your needs. Fence repair. When it comes to fence maintenance, it can be tricky to decide if you should replace or repair. Your fence contractor will be able to survey the damage and provide an expert suggestion based on the level of restoration needed. Repair services include fixing or replacing damaged sections, slats, panels, posts or pickets, removing rust from metal fences, welding damaged metal or wrought iron fences, adjusting or repairing electronic pet fences, replacing fence hardware and locks, and fixing wobbly posts. A fence contractor might work closely with a lawn and landscape professional. Here are some related professionals and vendors to complement the work of fencing & gate sales & construction: Ironwork, Decks, Patios & Outdoor Enclosures, Siding & Exteriors, Landscape Contractors, Landscape Architects & Landscape Designers. What training and licensing do you have? Find a fence contractor in Asheville, NC on Houzz. Narrow your search in the Professionals section of the website to Asheville, NC fence contractors. You can also look through Asheville, NC photos to find examples of fencing and gates that you like, then contact the professional who worked on them.